Jim Ackerman is a renowned marketing speaker, advertising speaker, sales trainer, marketing Coach, author and copywriter who specializes in direct response and alternative marketing, and in helping businesses”genetically engineer” their sales systems for ever-increasing success. He has written material for the likes of Novell, Franklin Covey, and Nature’s Sunshine, HerbaLife, Jafra, Melaleuca, and others. Yet, perhaps Jim’s greatest accomplishments come helping small to medium-size business owners and entrepreneurs dramaticallyincrease sales and profits, and reduce coststhrough smarter, results-driven marketing and advertising. His Principle-Centered Marketing Coaching™ Program is unparalleled for producing results… often turning companies around in a matter of just a few weeks. Now through his new book, How To Market Your Crap When The Economy Is In The Toilet, Jim is helping business people apply his 12 Vital Strategies to “Unclog” the American Economy, One Business at a Time. President & CEO of Ascend Marketing™, Inc. Founder of The Marketing Wizard’s Alliance™ Author/Publisher of The Marketing Wizard’s Alliance Newsletter™ National columnist and author of many articles in a broad array of industry publications. 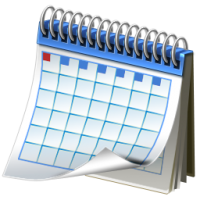 Click on this Calendar to Check Jim's Availability!